The latest addition to White Marsh is now open. 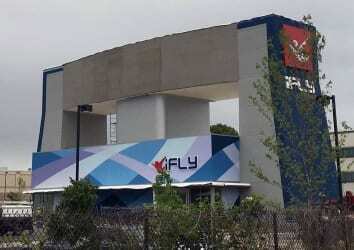 On Wednesday, iFly opened its doors to the public. The popular indoor skydiving venue now has locations in Maryland, Virginia, Pennsylvania, Illinois, New York, Florida, Oklahoma, Texas, Kansas, California, Colorado and Oregon. Indoor skydiving is the simulation of true freefall conditions utilizing a vertical wind tunnel. Flyers must be over 3 years of age. Participants under 6 feet tall must weigh less than 230 pounds. Participants over 6 feet tall must weigh less than 250 pounds. Folks with recent shoulder dislocations, back, neck and heart problems should check with a doctor before flying. Find out more about iFly on their website, on their Facebook page, and in the video below.